Mandate members are stronger when we work together. As a united group of workers, Mandate has been able to negotiate discounts for all members in a number of different areas. Have a look at some of the best deals below and see what money you could save. 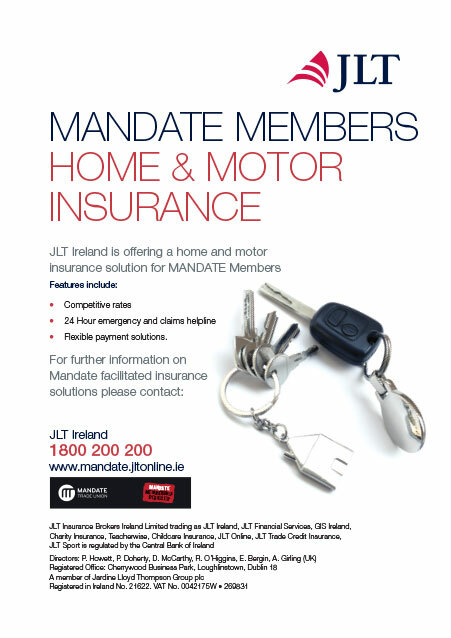 As a Mandate member you can avail of discounts in home, motor and travel insurance through our partners in JLT. Click here for more information. 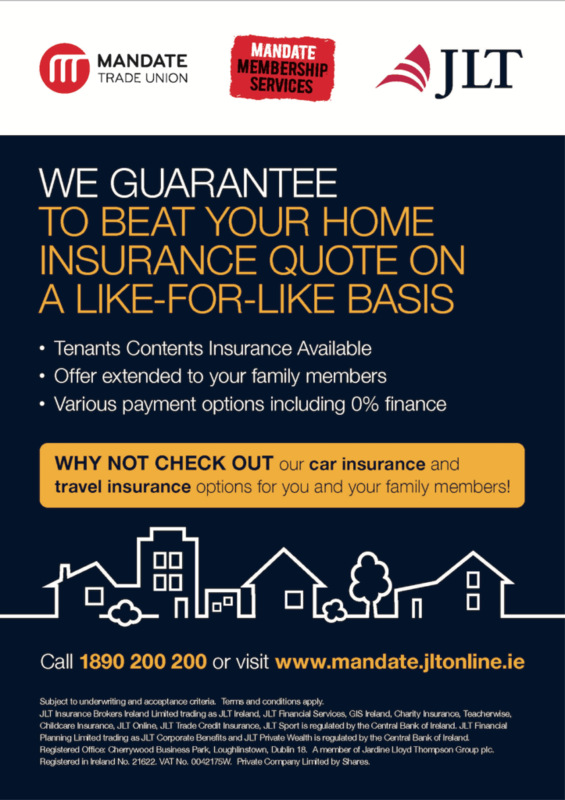 Avail of great home insurance deals today! 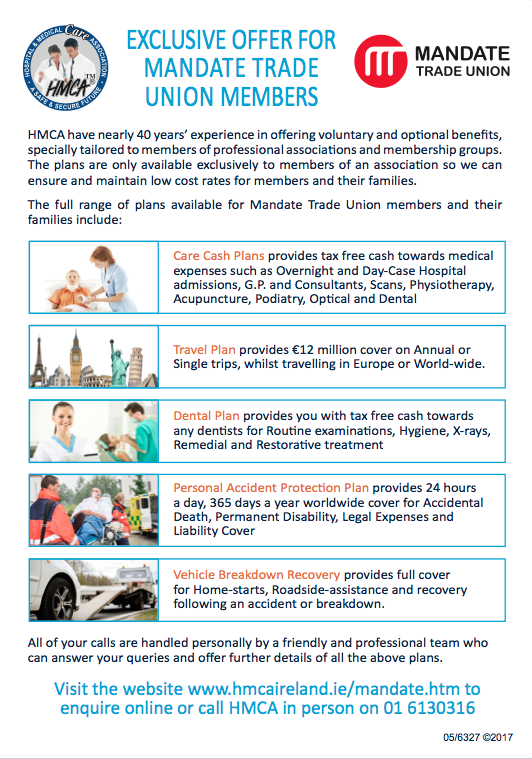 Mandate members can avail of medical health cover and related products with HMCA. Click here for further information.